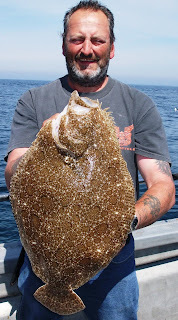 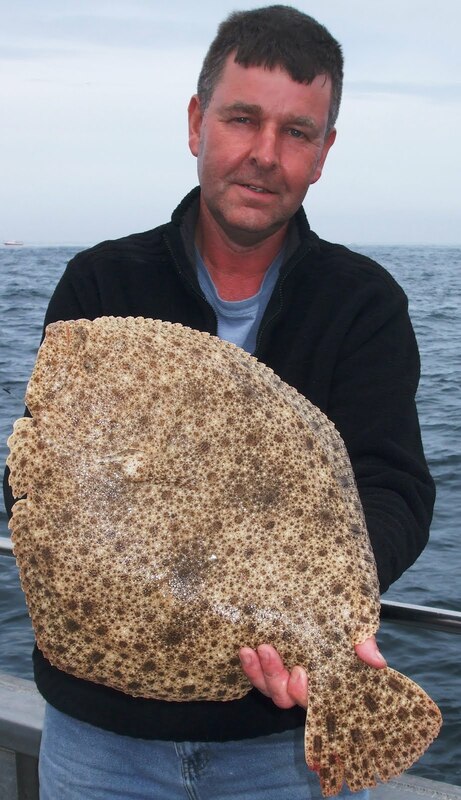 Ken with a nice brill - told you he was lucky! The wrecks are still fishing well with good numbers of cod pollack and ling showing. 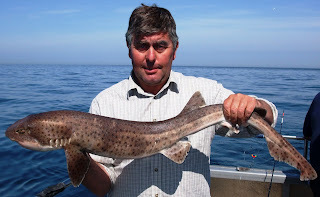 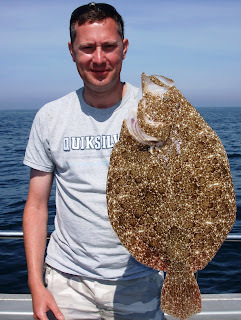 Fishing at anchor has matched this with plenty of congers, tope and blonde rays. On Monday 7th of June Silver Spray went on a wreck trip with some of its regular anglers and Mel Russ the editor of Sea Angler. After a slow start we anchoring a wreck in deep water and the fishing got off to a good start with over 20 snakes coming over the slack. The biggest of which fell to Mel at around 80lb. 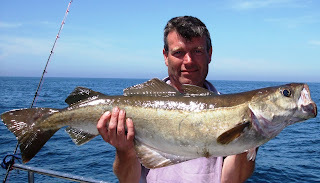 We started to fish on the drift with pollack into the double figures. 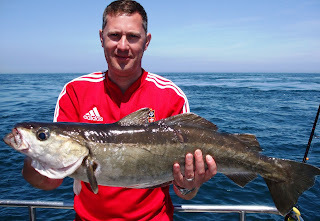 On the way back we went in search of cod. As luck would have it we found them not long after with half a dozen fish to 20lb coming aboard. 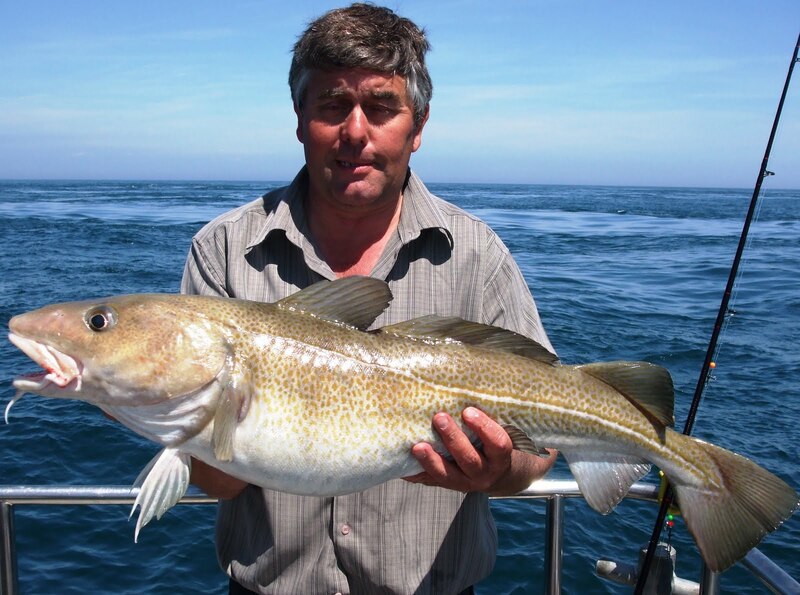 This trip will make the main feature in the boat angler section of the 456th Sea Angler issue which will be on sale from the 5th august. 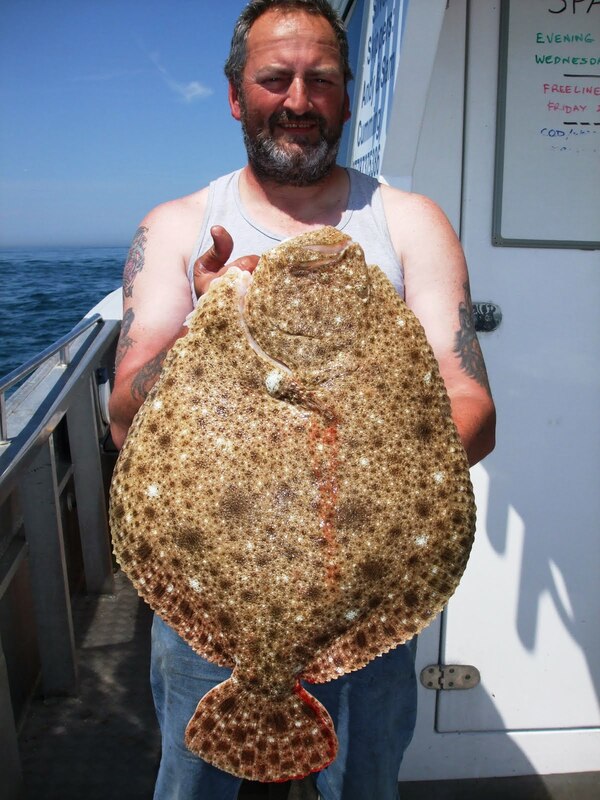 All photos below are courtesy of Sea Angler Magazine and editor and photographer on the day Mel Russ. 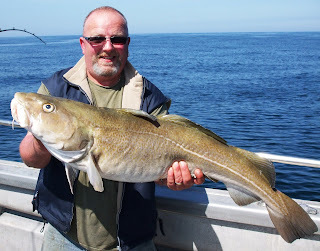 A flat calm day with a good crew led to another nice hit of cod off the brittle star grounds. 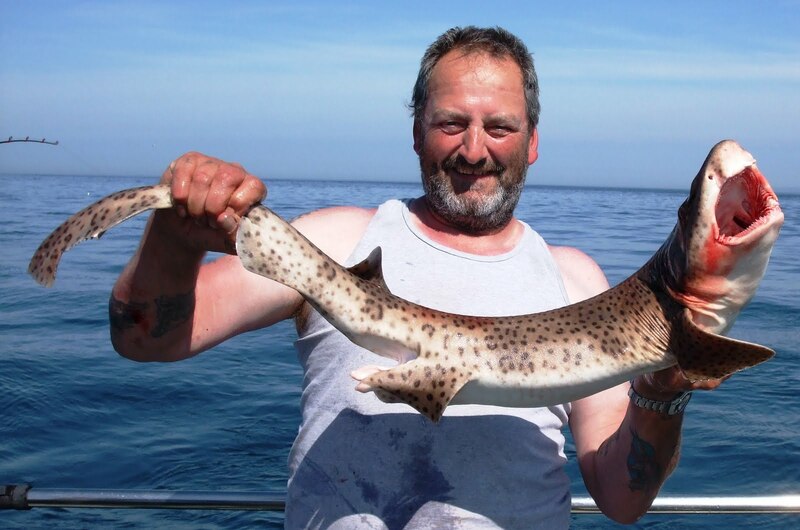 With a couple of nice tope and a few pollack to round off the day nicely. 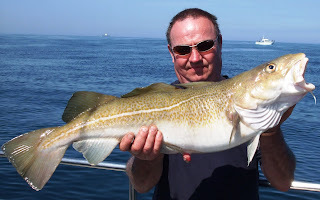 The third alderney trip of the year got off to bad start with none of the usual wrecks fishing on the way over to the island. 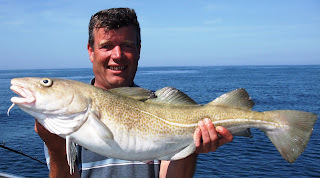 The day was saved, not for the first time, by a good session at anchor on the congers. 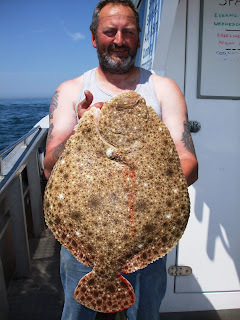 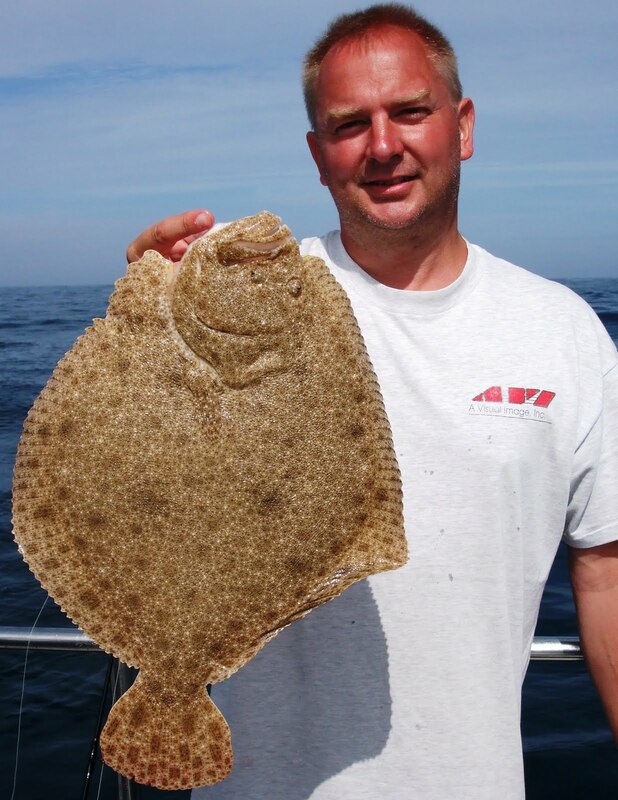 Day two saw only five of the anglers join the boat for turbot fishing but they were rewarded with 16 turbot for there efforts. 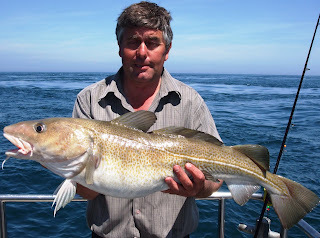 Day three arrived with NE 5-6 winds and a day ashore for the anglers to share fishing stories over a pint or three. 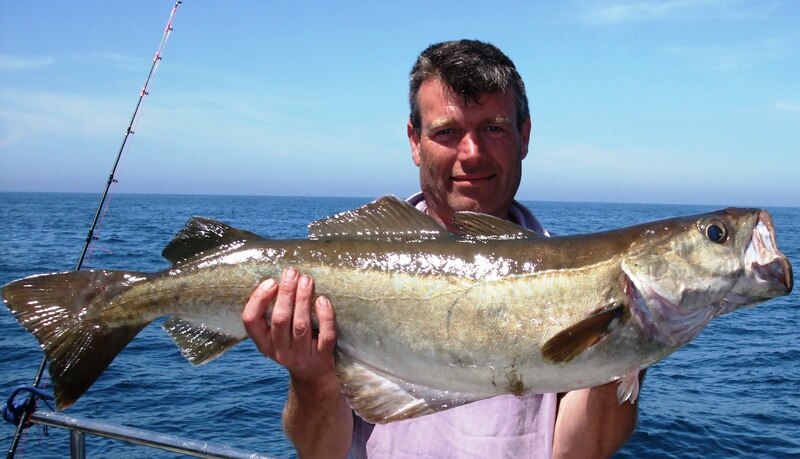 With not a lot on the wrecks on the way over we decided to go to a wreck well out of the way that we have never fished before. Our efforts again rewarded with exactly 50 cod to 24lb and a handful of nice pollack. Overall a well fished and enjoyable 4 days. 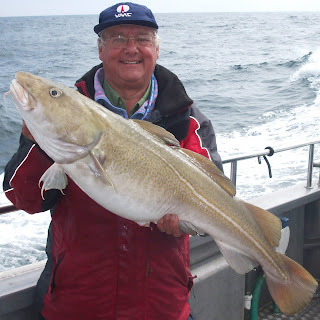 With less than favourable weather conditions fishing was difficult through out the day. Our extra 10 miles on from the usual cod grounds paid off though with 4 cod to 12lb, plenty of pollack to 12lb and a bonus 24lb Ling.